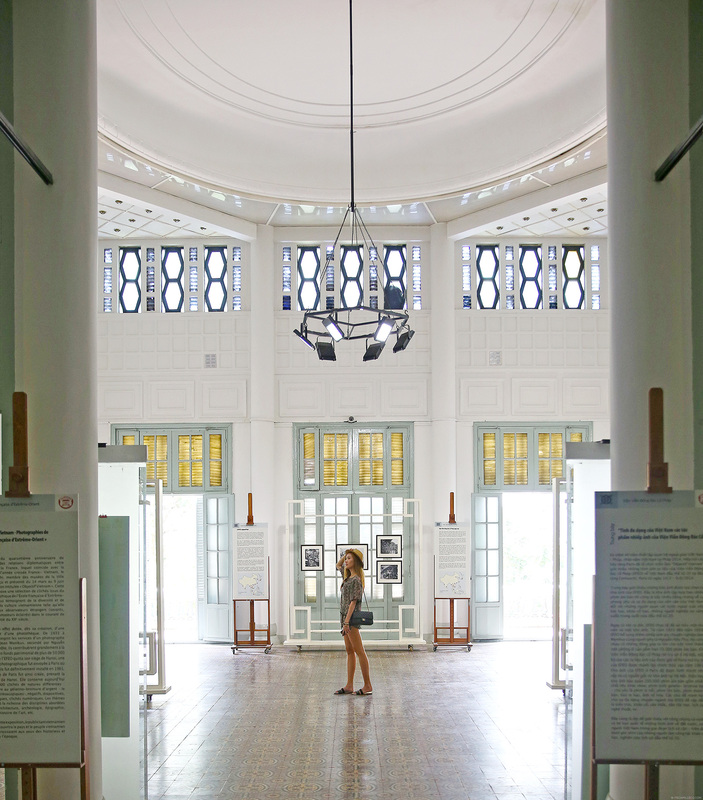 Going into Ho Chi Minh’s Fine Arts Museum felt like I was sneaking into someone’s mansion during the olden times. 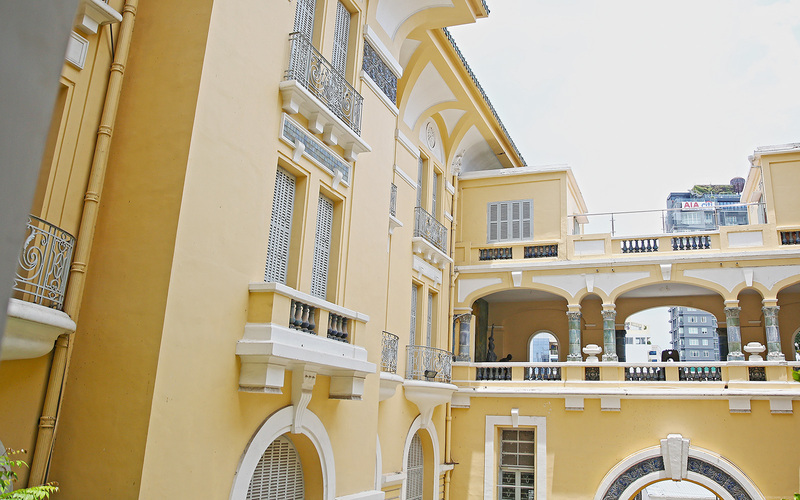 As it turns out, it was actually originally a mansion before it was turned into a museum. 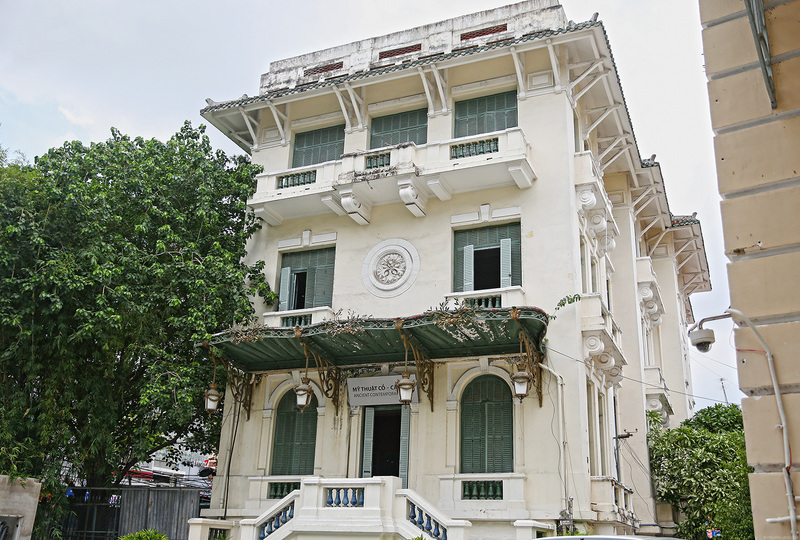 Mr. Hoa, the wealthiest man of Saigon during the 1920s, owned this yellow and white grand colonial-era mansion. 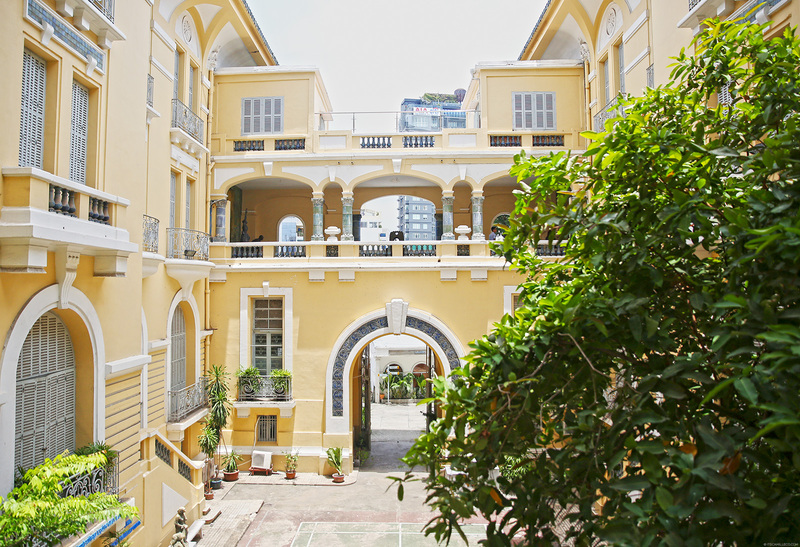 It is a combination of French and Chinese styles, exuberantly filled with marble floors and stained glass all throughout its airy rooms and verandas. 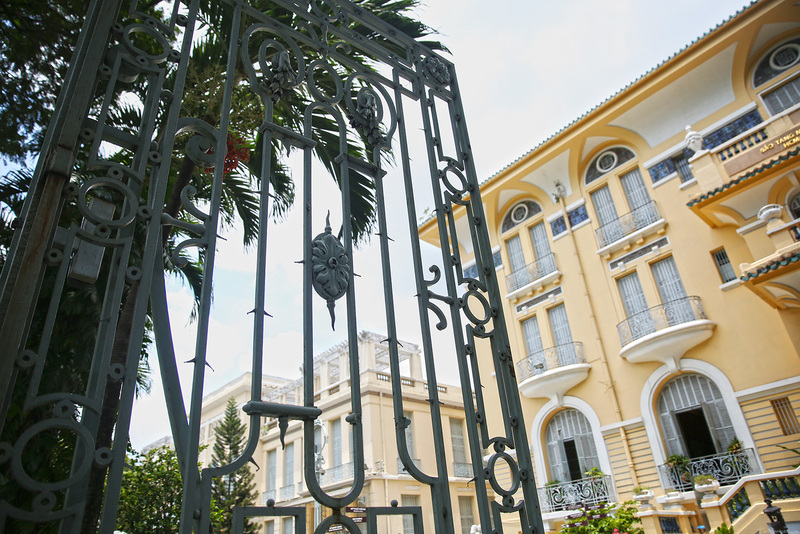 The mansion, I mean, the museum itself is already a work of art! Granted it’s a bit rundown but definitely not without its charm. How I wish I saw it during its prime. Hi Camille! Your photos are sooooo amazing! I wonder, who take your photos? Thanks for the insides Camille! The top and shorts are very cool, I like the slippers also! Dos not look there is much in the museum but your pictures are great. Hope the people of Vietnam have good lives though! Any other things that has impressed you in Vietnam? Yeah I heard that from other people too. 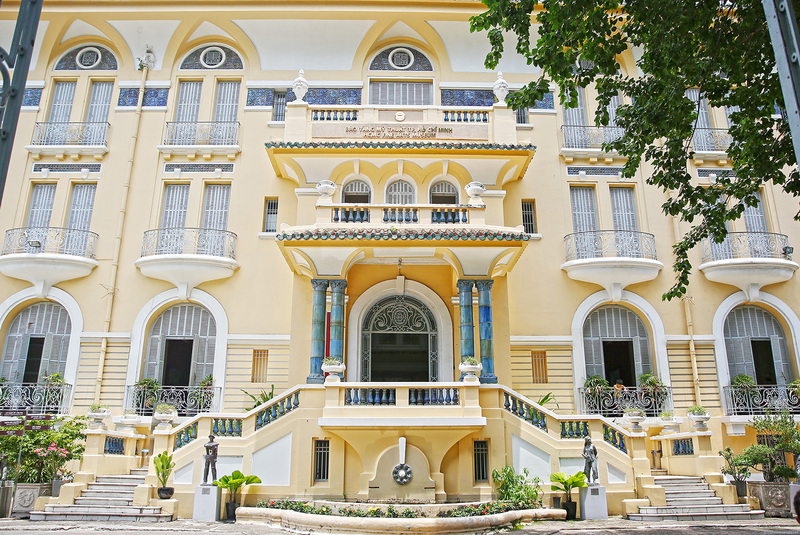 Must visit Hanoi next time! Cams these photos are so beautiful! I like how you kept your outfit interesting and complementary to the art pieces/walls around you. It’s striking but not overpowering. Love it! 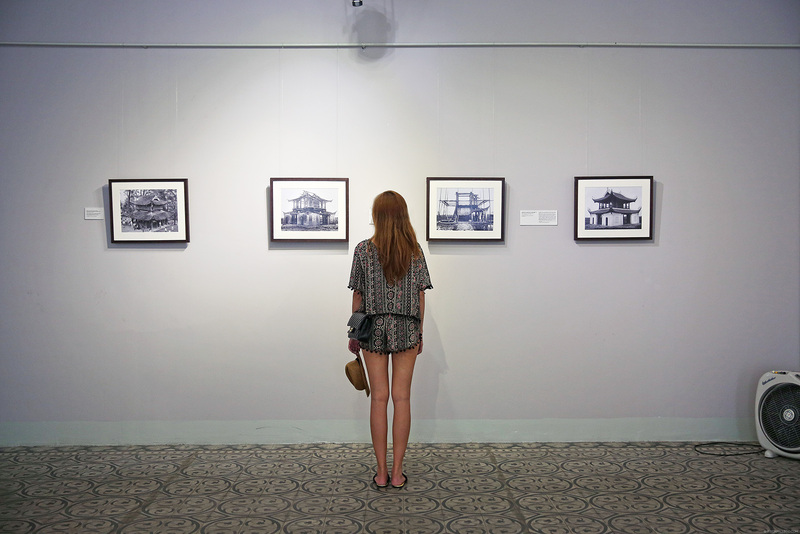 I never knew there was an art museum in Ho Chi Minh :) Everything looks so pretty, and I’m totally loving your outfit so much <3 Your beautiful photos make me miss the summer so much! I loved the look! Super stylish. Haha! :) I’m sure if it was maintained better, it would look even nicer! This look is so nice! Beautiful photos! I’ve been obsessing with your blog for over a week now and been watching your youtube videos. I love your style ❤️ Classy!